When you think of Idaho, chances are you think of potatoes. You might be surprised to learn that the biggest city in a state known for growing carbs is full of outdoors enthusiasts. Jogging, hiking, skiing, mountain biking – you name it. If it’s an outdoors activity, it’s almost guaranteed to be a hit here. Bordered along the Boise River by a 25-mile long park known most for its jogging and biking path called the Greenbelt, the beauty of Boise is captivating. It’s no shock that Boise has the largest population in the state, with nearly 215,000 residents. Did You Know: Boise natives pronounce the city’s name “boy-see” not “boy-zee”. How do YOU say Boise? Nestled in the heart of Treasure Valley in the Gem State, Boise’s first fame had nothing to do with potatoes. Mountain men lived in the area, hunting and trapping animals for fur. Some of these fur trappers were French Canadian, and rumor has it that the area was named for the French word for woods – les bois. By the time the U.S. government came along, the river was already known as le rivière boisée and the region surrounding it was called Boise. A private company’s fort located 40 miles to the west was called Fort Boise, and served the region from the 1830s through the 1850s. The army recognized a need for a fort in the area after several massacres nearby. A government fort was opened in the 1860s, and gold rushers, miners, their families, and businesses that catered to them soon sprung up in the area. Today, the region surrounding Boise is known as Treasure Valley. 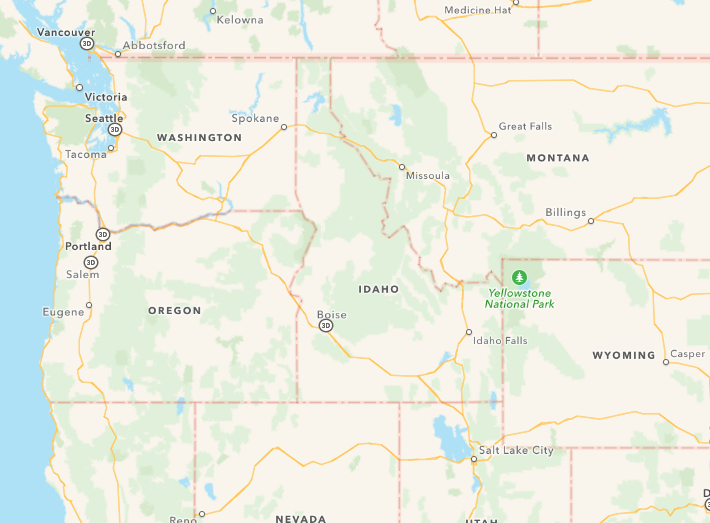 Boise was strategically positioned along the Boise River and the Oregon Trail, and close to two booming mining towns – Silver City and Idaho City. Thanks to the rapid growth in both areas, Boise burst into life. By 1863, this frontier fort was a bustling boomtown. Idaho Territory, once the size of Texas, had its borders redrawn with the creation of the Montana Territory. 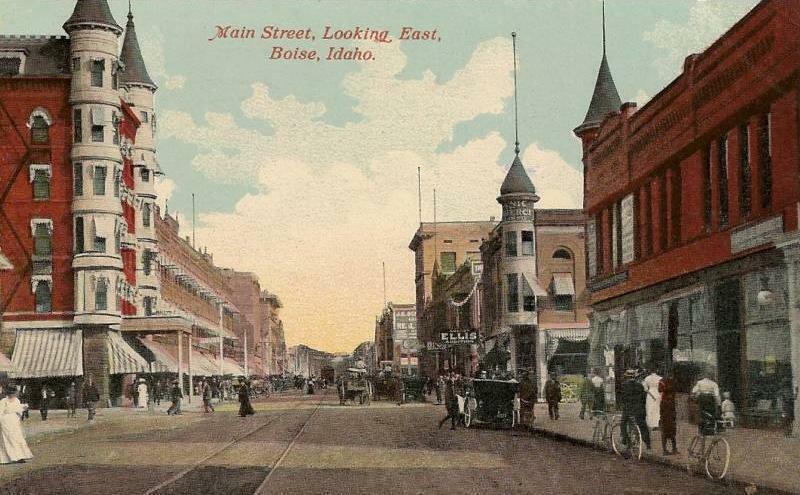 When this change happened in 1866, Boise was named the territory’s capital. There’s more than enough to do in Boise, and much of it is outdoors. If you’re up for a hike, check out the Oregon Trail Reserve – a 77-acre plot dedicated to preserving the historic route travelers on the Oregon Trail took through the area. Take a walk across Boise’s Oregon Trail Memorial bridge for scenic views and a little history, too. Pres. Abraham Lincoln was responsible for creating the Idaho Territory, and the city has strong ties to him as a result. There’s even a large statue of him in front of Boise’s capitol building. Our crew spent a week filming in Boise this spring, and stopped at the following few places you won’t want to miss. Idaho State Penitentiary. Photo via wikipedia. A perfect stop for Halloween and horror movie fans, this place gave the crew the creeps. Opened in 1872, it was home to (and hung) some of the worst criminals in the Old West. Tour solitary confinement, a cell block, weapons exhibits, and if you’re willing – the Gallows. Programs for all ages share this building’s captivating history, complete with prison escapes, executions, and scandals. Some nights, you can even catch an appropriately-themed movie at Old Pen. Along the Greenbelt, you can rent a bike at one kiosk, ride until you’re tired, and return it at another kiosk. The lush greenery that lines this path is accented by great river views. More than 30 miles of bike-able trails wind their way along the shore of the Boise River, with multiple bridges, performing art spaces, memorials, and nature preserves are a part of the park. Several pieces of land were donated to the project by area residents, but not everyone loves the Greenbelt. Former Mayor Evans and his construction company created the Riverside Village along the Greenbelt on state land in exchange for making improvements to the land, including a bike path, lakes, and pedestrian bridges. They never kept their end of the bargain, and that stretch of the Greenbelt has even occasionally been marked as private property over the past three decades. Boise is home to an impressive number of Basques – second only to California. Numbers as high as 30,000 Basque descendants in southern Idaho and eastern Oregon are common estimates. The Basque came to this region in search of gold, as miners, but quickly returned to sheep herding. A bit of a mystery, the Basque people in Boise have retained a strong cultural identity and this museum helps show it off. Opened in 1993, it not only houses artifacts and stories of Basque families who settled here. The center is also home to the only Basque-language preschool outside of Spain.. The Basques are a proud people. They take pride in the Euskera language – Europe’s oldest, and unrelated to any other European language – the Basque ball game jai alai, and the invention of espadrilles, among other things. In Boise, the Basque Block is home to the restaurant Bardenay as well as several other worthwhile stops – including this museum. The Idaho State Capitol is an impressive piece of architecture, built in the early 1900s and completed in 1912. Drawing inspiration from St. Peter’s Basilica in Rome and St. Paul’s Cathedral in London, the most obvious influence is the U.S. Capitol. The resemblance between the two is striking, and not unexpected. Idaho State Capitol Building. Photo via wikipedia. A quick look into the dome form the first floor of the Capitol shows 13 stars representing the 13 colonies, and an additional 43 stars, paying homage to Idaho’s entry into the United States as the 43rd state. Well thought details can be seen in the design and decoration of the Capitol. The original construction cost a little over $2,000,000 USD. Between 2000-2010, renovations on the building and the construction of one-story underground legislative wings totaled over $100,000,000 USD. On the grounds, trees planted by three former U.S. presidents were removed for the underground construction, and a plaque explaining their significance can be found in the restored building. Located in nearby Nampa, this is a really cool hangar with a collection of vintage war planes. In the Boise episode of Travel Thru History, you’ll see an interview we shot in front of an F104 Starfighter. The museum also has a P51 Mustang and a Fokker DR1 triplane like the Red Baron flew. Aviation geeks will love it here. Special bonus? Vintage cars and bomber jackets are part of the collection here, and the museum also runs a Veterans History Project. 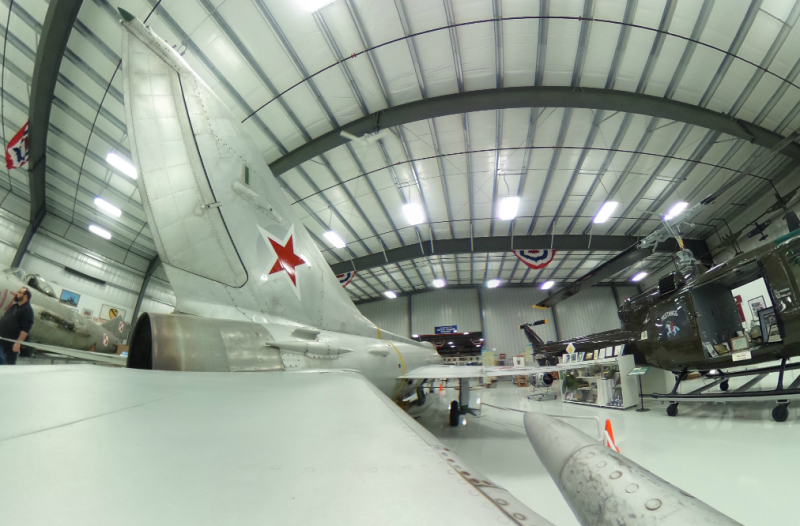 Here’s a 360 look at the main hangar. 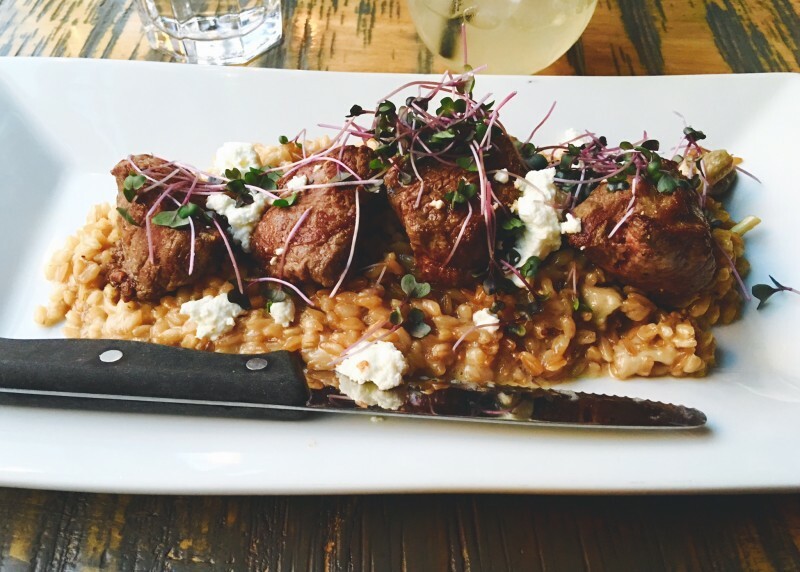 Boise is a foodie town. Serving up scrumptious farm-to-table fare and craft brews in kid-friendly settings, there’s one thing on almost every menu that you knew would be there – potatoes. The locals let us in on a little secret, though. The potatoes here are great, but they rarely eat them. The good ones are all exported! By far the humblest stop on this list Boise Fry packs major flavor and a lot of fun into each bite and elevates Idaho’s stereotypical food to new heights. Serving burgers on the side, this local eatery focuses on fresh, natural, organic, local and nonGMO foods – but they don’t skimp on flavor. And when it comes to fries, you choose your size, type of potato or veg (they do brussel sprouts, sweet potato, and yam fries, too! ), and your cut. It can get overwhelming having to choose from a variety of potatoes you’ve never heard of, to choosing what type of salt AND what type of sauce, but it’s so worth it. Juniper brings delightful, fresh, and complex flavors direct from the farm to your plate. The restaurant is relaxed, fun, and funky. The menu is vegetarian friendly, but if you’re a meat-eater and like lamb, swing by for breakfast and check out the Lava Lakes Lamb Hash. Claiming to be the first restaurant distillery, Bardenay is named for the main item served here – cocktails. Don’t be afraid to bring your kids here, though. The children’s menu is one of the healthiest we’ve seen anywhere – even if it is small. The items included meet the National Restaurant Association’s Kids LiveWell requirements, so you can eat in peace knowing your little one isn’t gorging on junk food. It’s located right in the heart of the Basque block and is a local favorite. For more information on a trip to Boise visit Boise.org.